Black Spades – Spades the way we play! Joker. Joker. Deuce. Deuce. Yep, that’s right! 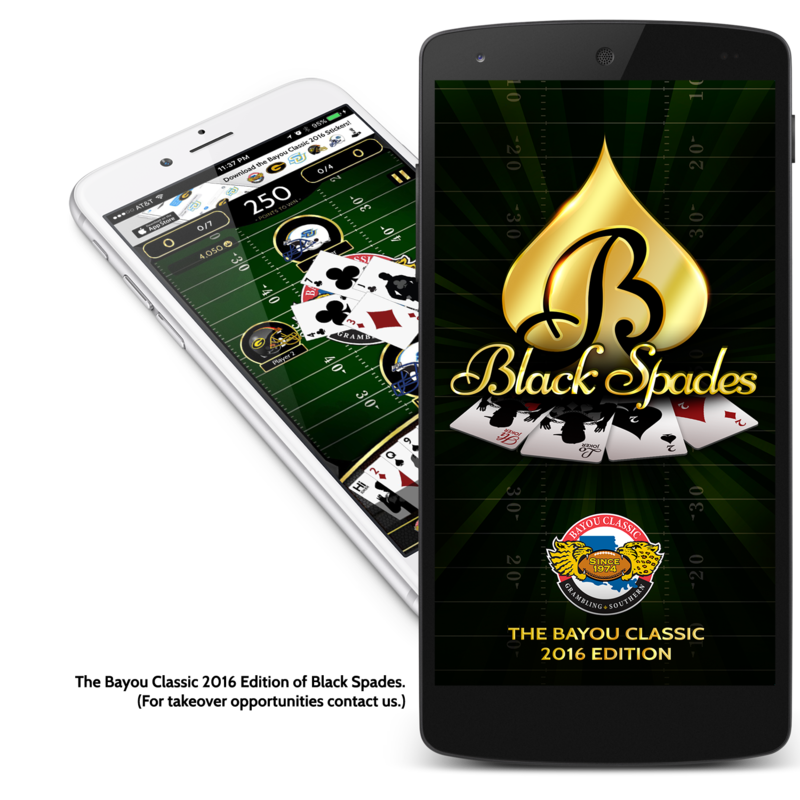 Spades the way your friends and family play at home, college, family reunions, and holidays get-togethers! Why Black Spades is the Game for You! Black Spades is the only game on iPhone and Android that has the rules you grew up with — Reneg, Jokers, Deuces, Blinds and more. Black Spades was created for spades players on all levels. From the beginner playing at home, to the expert playing on the go, our game was designed to get you straight to the action with no gimmicks. Black Spades was created to easily show off your spades skills with friends and family. Share status updates, screenshots and videos of your game play! In addition to an authentic rule set, realistic game play and social media connectivity, Black Spades is packed full of subtle details that make it a must-have game. Be sure to watch the in-game tutorials to learn more.